Novice allows the computer to compenstate for the driver's lack of experience/skill. Expert allows the players to gain more out of the car full potential. 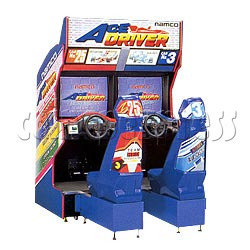 Pro is the big time, the game relies purely on the drivers skill, as the car become very responsive and needs full mastery over the gas and brake pedal to maintain control on sharp turns. As the player takes turn his seat moves as well to maintain the feel of the track.